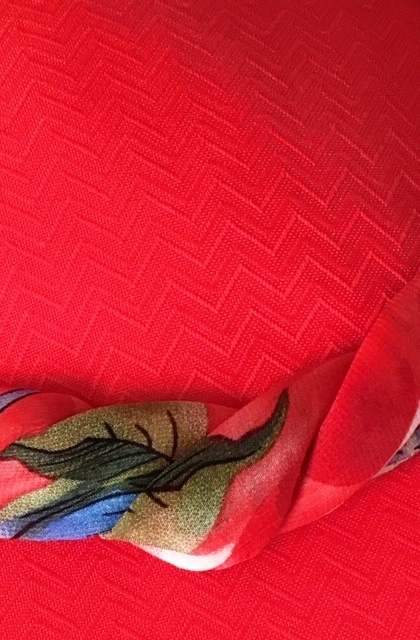 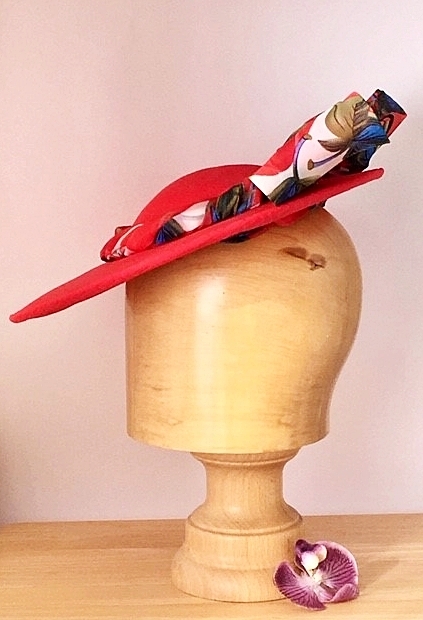 This stunning, vibrant red platter hat, made for ‘Hatmosphere’ London 2019 will be on sale at the Old Brompton Gallery, Kensington, London between May and June. 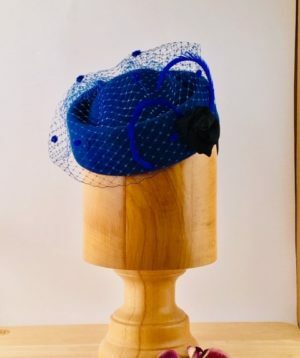 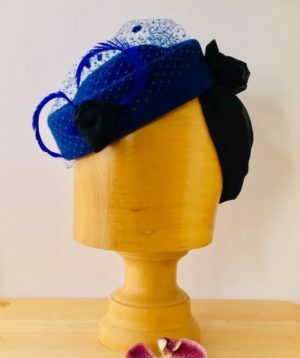 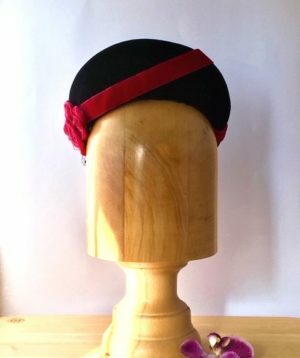 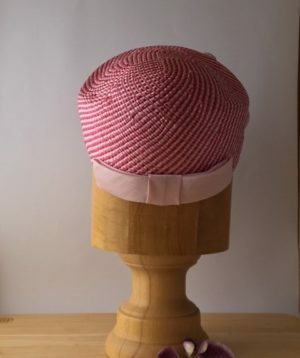 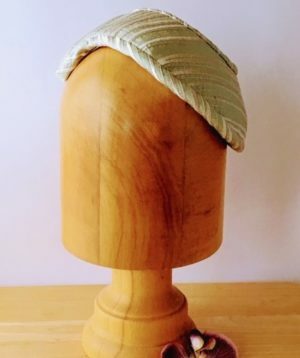 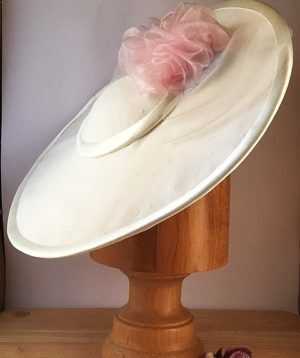 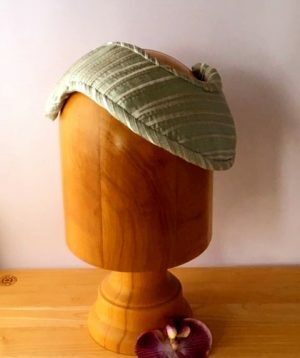 The hat has a small domed crown, medium sized brim and is traditionally constructed using Dior net, Buckram, Dommet and covered with a patterned fabric. 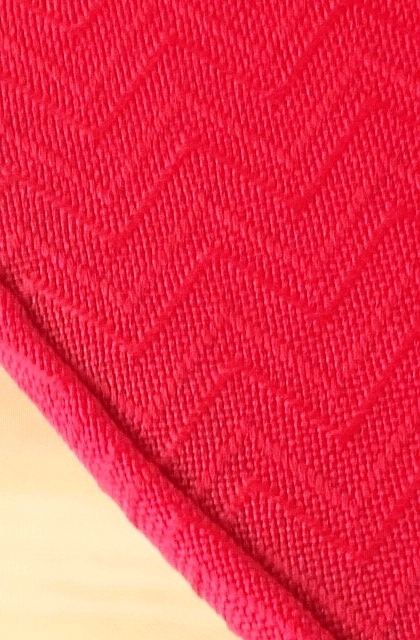 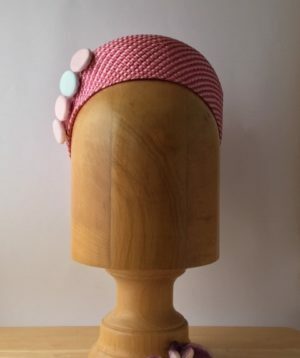 The brim is wired and edged with rolled bias binding made from the same material. 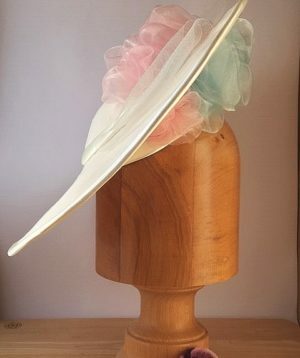 The crown is decorated with patterned twisted chiffon edging and bow. 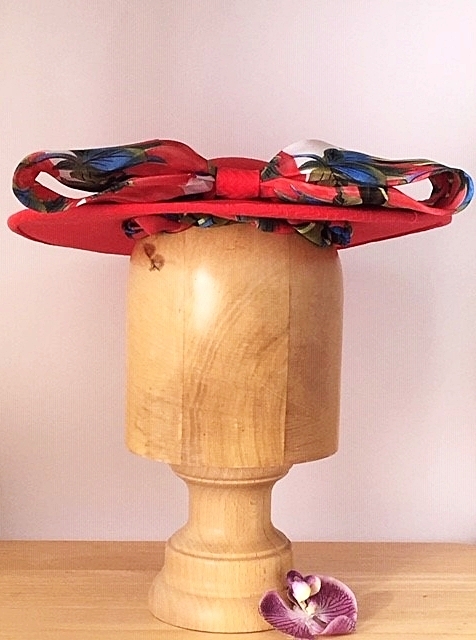 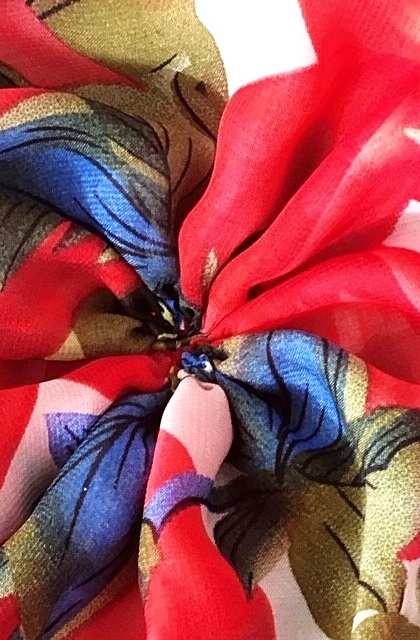 The underside of the hat is finished with same coloured chiffon detail and gathered lining. 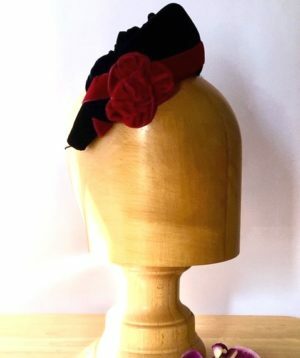 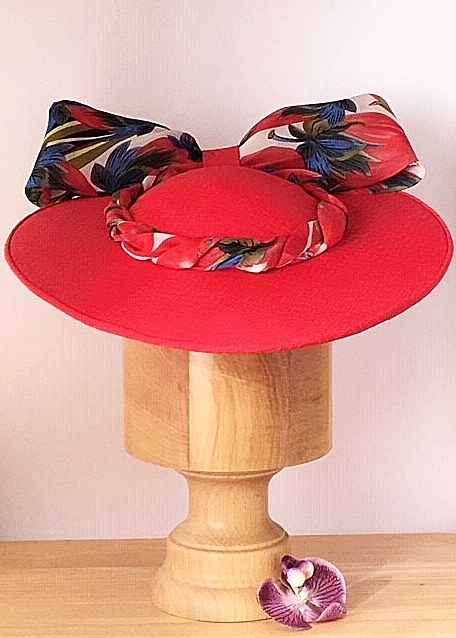 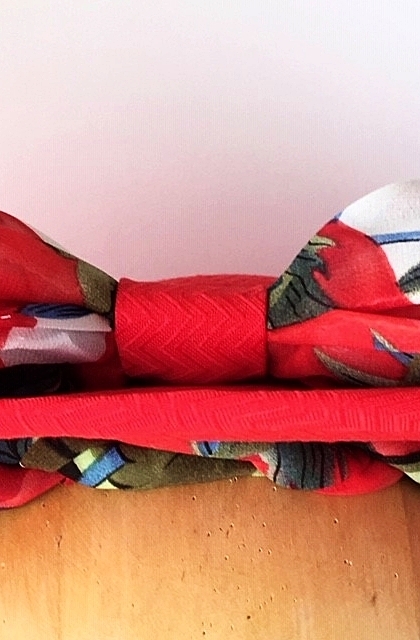 Hat is finished off with red petersham ribbon and hat elastic.